A candidate for the forthcoming European Parliament elections, Cllr. 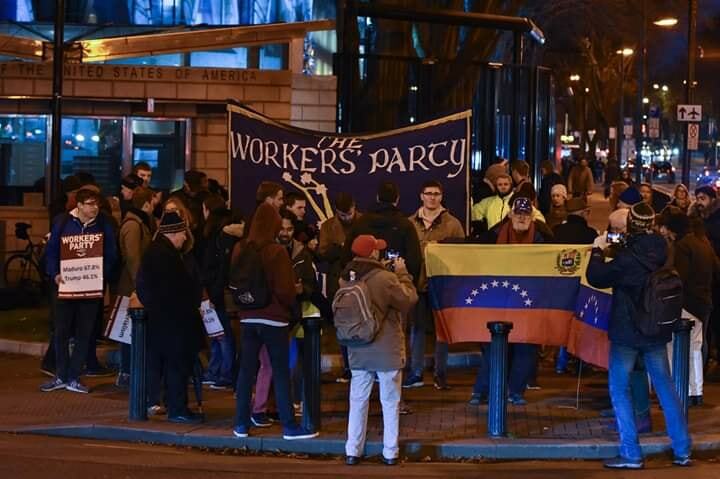 Éilis Ryan of the Workers’ Party, has condemned a vote by the European Parliament to back the attempted overthrow of Venezuelan President Nicolás Maduro. “Like every other US intervention – from Cuba to Iraq to Chile and Argentina in the 1980s – the attempt to overthrow Nicolás Maduro has nothing to do with human rights and everything to do with oil, and asserting US power around the globe. “For decades, Irish people have proudly stood in solidarity with oppressed people in Cuba, in Palestine and, throughout the 1970s and 1980s, in Latin America. This never meant supporting ever single policy in those countries. But it always meant standing up for countries which the US, repeatedly, attempted to bully, interfere with and oppress. “It is clear from the last elections – which were fully endorsed by the United Nations Special Rapporteur on Venezuela – and from pro-Maduro mobilisations on the streets of Caracas, that the US-backed coup effort has no legitimacy in Venezuela. It is inexcusable that many Irish MEPs have chosen to support Donald Trump above the will of the Venezuelan people.